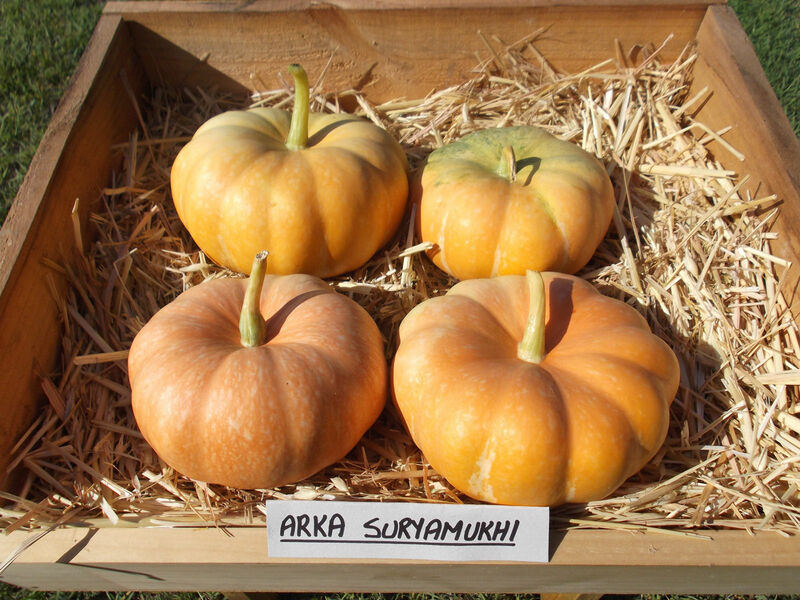 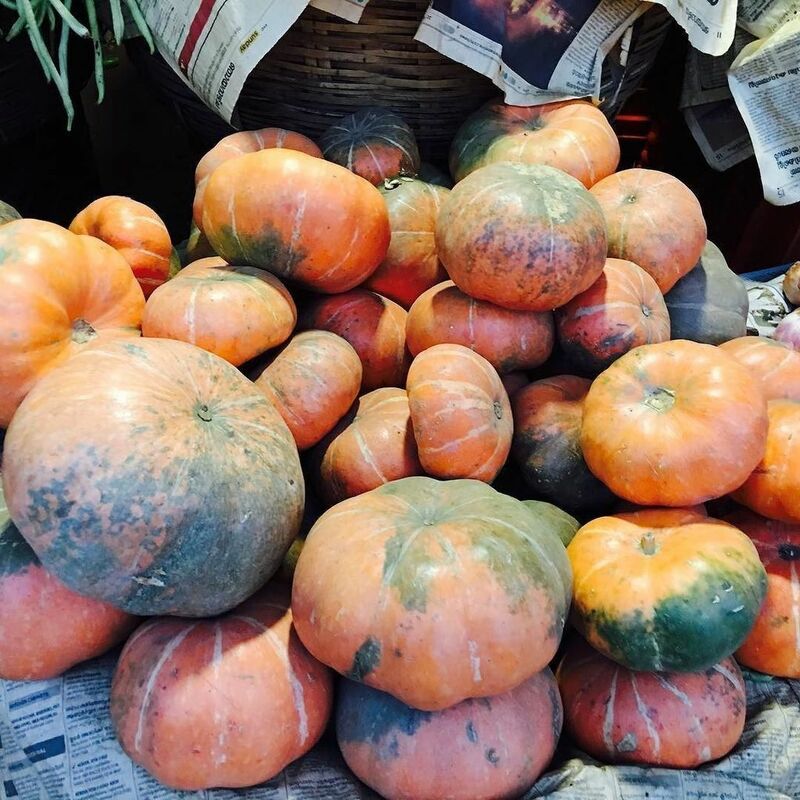 Arka Suryamukhi is a family favourite pumpkin variety, very popular in southern India. 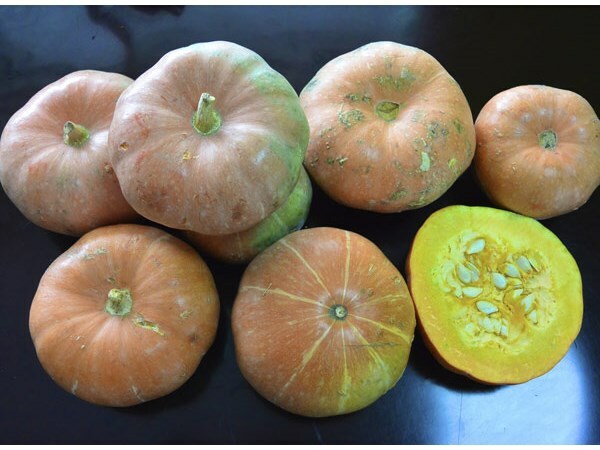 It was bred by the Indian Institute of Horticultural Research in Bangalore, and because of it's success, large quantities are now exported to the Middle East. 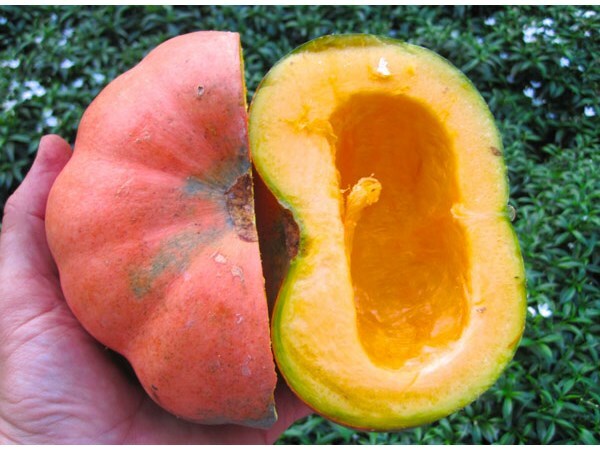 The small fruit are round and flattened with large ribs and a beautiful orange rind. 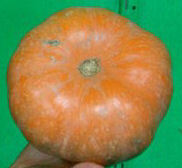 The medium sized vines produce high volumes of fruit ranging in size from 1kg to 2kg. 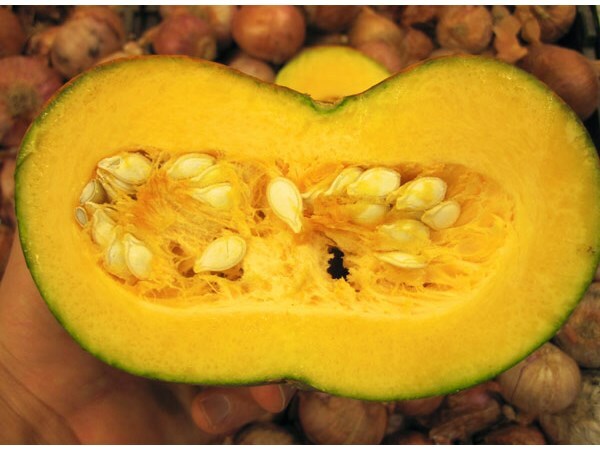 Inside, the bright yellow flesh is thick, sweet and very yummy. 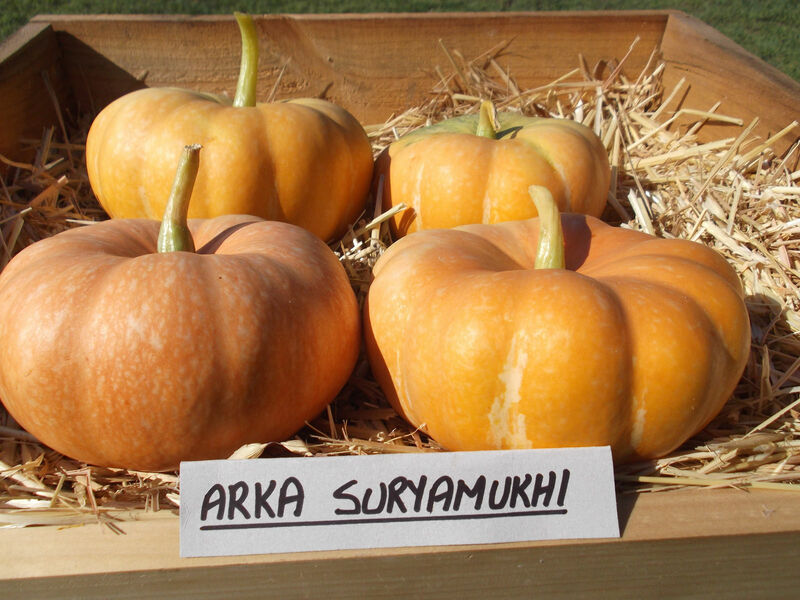 Easy to understand why it is favoured in it's homeland.